A spinal cord injury, or SCI, may happen because of a quick blow or shift to the spinal column during an automobile accident or crash. It is common and nothing to joke about. When a it happens, it may be immediately noticeable; however, in many instances the onset of symptoms is gradual. Symptoms include but are not limited to strength, sensation, and function below the spot of the damage. The condition is often permanent but in some instances physical therapy, rehabilitation, assistive devices, chiropractic, medications and/or surgery may provide for relief allowing for a meaningful and productive life. The effectiveness of rehabilitation usually depends on the severity of the injury and the nature and source of the nerve damage. If you have been involved in a car, truck, bus or motorcycle accident and feel pain in your arms or legs, do not self diagnose your problem. Before coming to a conclusion, you must get an comprehensive evaluation from a medical doctor. Injuries with spinal cord - Many of the symptoms present with SCI are also present with impingement syndrome. An impingement does not necessarily mean permanent problems. By removing the impingement it is entirely possibly to achieve complete and permanent relief. A common cause involves hurt disc in the back or neck protruding into the spine nerve. This creates interference with the signals traveling along the line and causes almost identical symptoms to true damage to the nerve. Much more can be done in the way of non-surgical intervention to cure or relieve an impinging disc. This is because there is technically nothing wrong with the nerve itself. All that must be done is to remove the problem and suddenly the issues disappear. In the case of actual damage, therapies and surgery may still be available to help the condition. First and foremost, a visit to a doctor is in order to diagnose the problem. Most of complain of loss of strength, pain the arms, numbness in the extremities soreness localized in the neck or low back. When any of these symptoms are present, consultation with a chiropractor, urgent care or orthopedic surgeon is in order. The doctor might take x-rays, an MRI, or conduct other studies of your sensations to determine the source and cause of the issue. If s specialist is called for, the appropriate referral should also be made. Chiropractic Care. 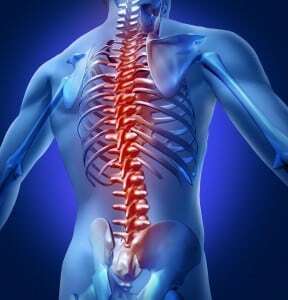 A chiropractor can gently manipulate the structure of the spine in order to relieve tension and shift problem discs. Physical Therapy. A physical therapist works with the patient to strengthen the muscles and structure of the body surrounding area, thereby taking stress off the structure. This seems counterintuitive at first. Many ask how putting stress on an injured part of the body could possibly assist in recovery. This is something that the patient to ask their doctor about. Medications. Medicating allows for the accident victim to bear the pain while they engage in strengthening and other therapies. Medications can be used to enhance other treatment options. Surgery. Surgical intervention is usually the last resort because it is incredibly invasive and comes with greater risk of complications. The removal of a bad disc, the clipping off of a herniation, protrusion or bulge can allow for a symptom free life. While exploring this option be sure to weigh the risks and rewards. In instances of major spinal cord damage, consultation with a neurosurgeon should probably be had before engaging in more conservative alternative therapies. This is because the risk of further damaging the nerve is possible. Therefore, always seek professional help before engaging to get better. See a doctor immediately! 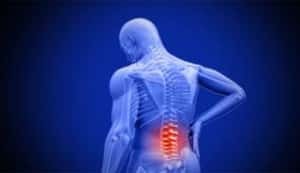 When someone else is responsible for a SCI, back pain or whiplash in a car accident, the law can hold them fully liable to pay for medical treatment now and in the future, pain and suffering and lost earnings. Even when a person has health insurance, deductibles, co-payments, travel expenses and lost pay add up big time. Usually general health insurance does not pay for extensive physical therapy and rehabilitation and does not pay chiropractic care at all. In addition, the loss of life's enjoyment is curtailed when the rhythm is disrupted. 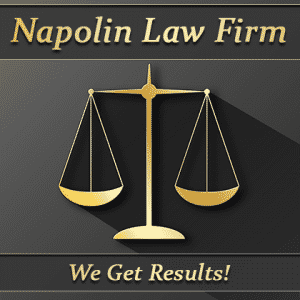 Hundreds have turned to The Napolin Law Firm to get the resources necessary to treat their Spinal Cord Injury and put their life back on track. If you need to find the resources to pay for needed medical care and need compensation to get your life back on track, we may be able to help you with no money up front. Call today and speak to a local, compassionate lawyer, for free. We get results!